Saying you don't need the library because you have Google is like saying you don't need a math teacher because you have a calculator. Click on the link above to access the current Writer's Guide for HHS expectations and guidelines for written projects, including research papers and essays﻿​. This interactive Google Doc from BARAT and The Library of Congress will help you organize your facts for research. Click here and make a copy of this Google Doc. Try an alternative to Google to get different results from your search. 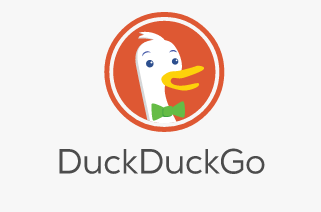 DuckDuckGo does not track your search history or bombard you with annoying ads. The Internet provides an abundance of information--some is credible and some is misinformation. You need to acquire critical thinking skills to determine if the information is credible. Use the excellent tutorial from UC Berkeley - Finding Information on the Internet: A Tutorial, Evaluating Web Pages: Techniques to Apply & Questions to Ask, to learn how to find some of the best of the Internet, primary sources, specialized directories and databases, statistical information and educational sites. Use the resources from Cornell University Olin & Uris Libraries, Guide to Library Research at Cornell, Seven Steps to Effective Library Research. Steps include assistance with your topic, finding background information, locating periodicals or books, finding Internet resources, evaluating what you find, and citing all sources. Need tips on the writing process? Access Purdue University, The Purdue Online Writing Lab (OWL) and find help with effective writing, revising, editing, developing an outline, proofreading as well as types of writing (creative writing, research writing, writing about poetry, writing about literature). This site is for the purpose of supporting the learning community of Harvard High School. External links have been included on this page to assist visitors in locating additional related resources. Following these links will take you to material that was not developed by District 50. District 50 is not responsible for other material or information which you might find through these external links, and does not necessarily endorse any product or service which you may find advertised there. Site updated August 2018.